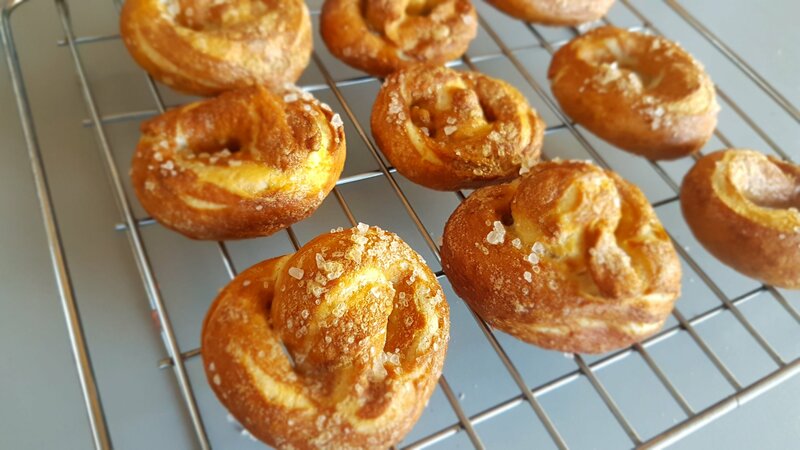 Pretzels are one of those snacks you pick up at the supermarket but would never think to make at home, least of all with the kids. I spend an insane amount of time in supermarkets, mostly because it’s an opportunity to speak to other adults during a long day with the little ones. I have been reminded by my lovely husband that after a day with no adult conversation I do crack out a good boring story. Highlights include a 20 minute tale of a big puddle, the saga of not enough bread rolls and the gripping thriller of ‘would there be chai tea bags in co-op?’ Spoiler alert – yes (considering getting the movie rights to that last one). 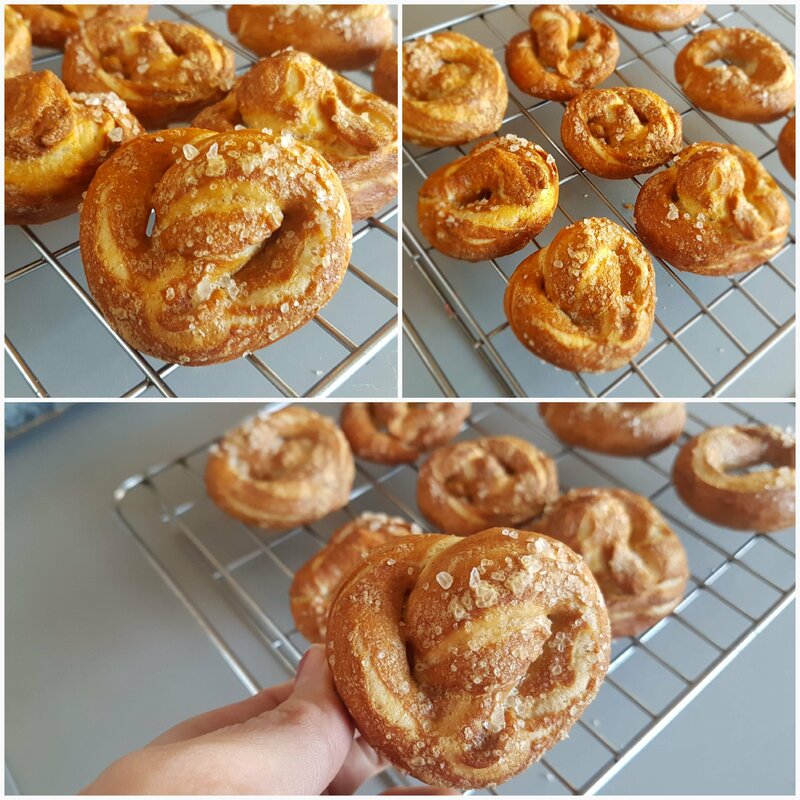 So in an attempt to spend less time in Tesco we decided to give pretzels a go. They we’re delicious and I’m pretty confident they will be a new regular bake. You will need baking sheets lined with baking paper and a large pan for boiling water. Mix the yeast and sugar together in the warm water and leave until it gets a frothy head. Mix the yeasty water with the flour and the teaspoon of salt in a large bowl until you have a firm dough. Pop back into the bowl and cover with a damp tea towel. Leave in a warm place for an hour or until doubled in size. Preheat the oven to 170°C Gas Mark 3 and in a big pan, bring the 1.5 litres of water to a rolling simmer and add the bicarbonate of soda. 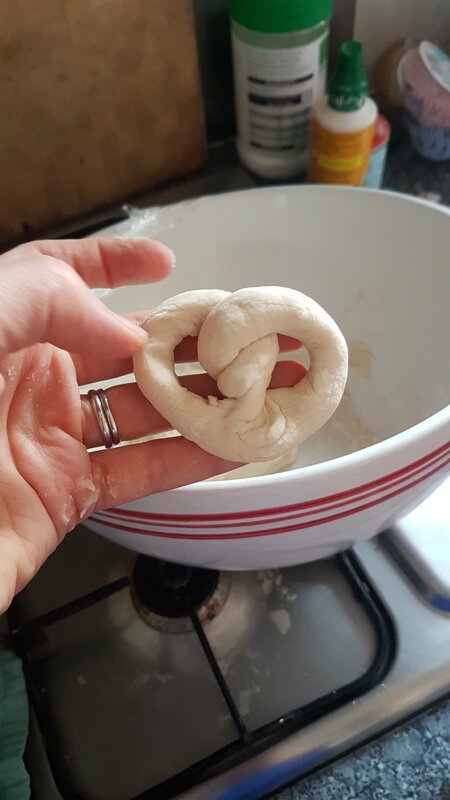 Give the dough a quick second knead and start making your prezel shapes. 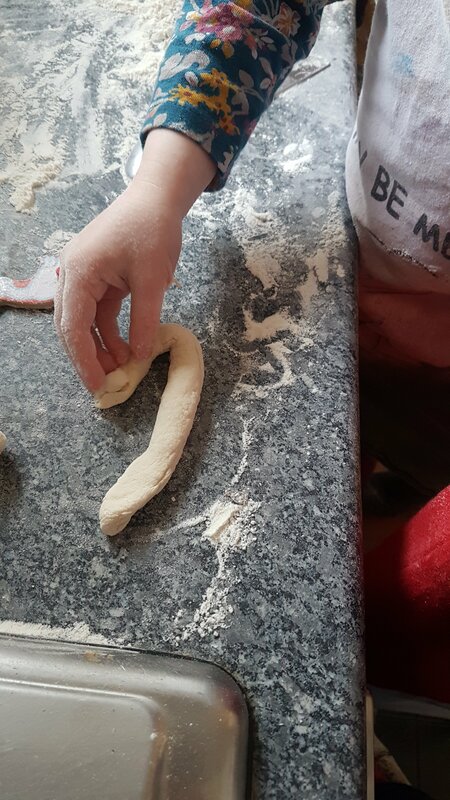 We attempted the traditional round pretzels but sticks or loops will work just as well. Drop your prezels 1-2 at a time into the water and boil for 30 seconds before removing onto a clean tea towel. 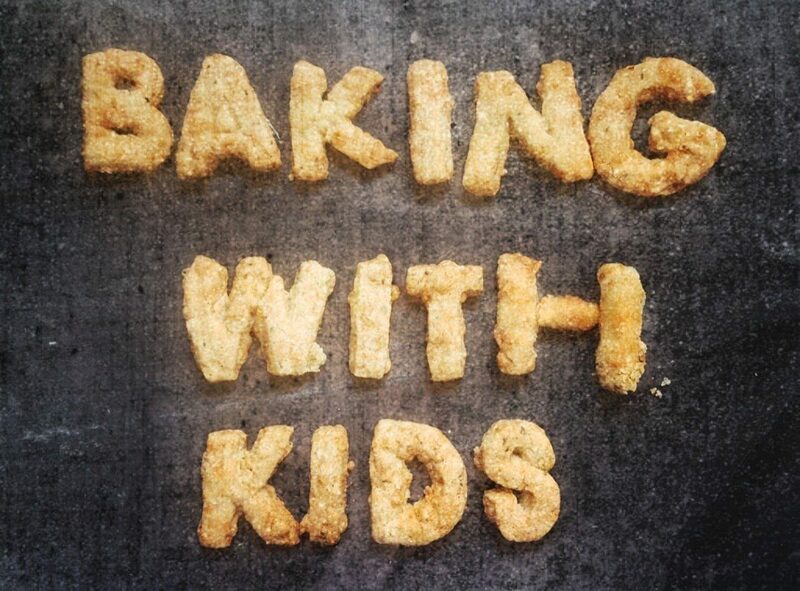 (This is a bit of a grown up job but there’s kid friendly salt sprinkling on the way). Gently pat dry and transfer to a lined baking sheet. Once all the pretzels are boiled, brush with the beaten egg and butter mixture before sprinkling with the coarse sea salt. Bake for half hour or until golden and firm to touch.